0 Aigboje Aig-Imoukhuede: “Africa will fight the war on health deficits with its own troops"
This month sees that launch of what could become the most significant breakthrough in tackling Africa’s chronic health deficit. The African Business Coalition on Health (ABCH) composed of some of the continent’s most successful entrepreneurs and philanthropists, will work with governments and multilateral organisations to mount an assault on Africa’s nagging health deficits. If successful, this could change the face of Africa. Anver Versi talks with Aigboje Aig-Imoukhuede, founder of the organisation to find out how it all came about. He sees the African Business Coalition on Health (ABCH) [to be launched this month during the AU Summit in Addis Ababa, as the command centre for the war. The C-in-C, to maintain the military metaphor, is the legendary entrepreneur and philanthropist Aliku Dangote; commanders will include the likes of Zenith Bank’s Jim Ovia, UNECA’s Vera Songwe, the UN’s Amina Mohamed, Olusegun Obasanjo, leading figures from the world-wide GBCH what Aig calls ‘the usual suspects’. The ‘usual suspects’, he explains are some 50 people in Africa who ‘are one person removed from everything of significance that happens on the continent’. These are individuals, he says, who in their personal capacity, in official or unofficial roles, are involved in some way or other with virtually every positive development taking place on the continent. Rwanda’s Paul Kagame and Nigeria’s Ngozi Ikonjo-Iweala are examples. He wants to bring in the leading African and multinational companies into the mix and expand the list. 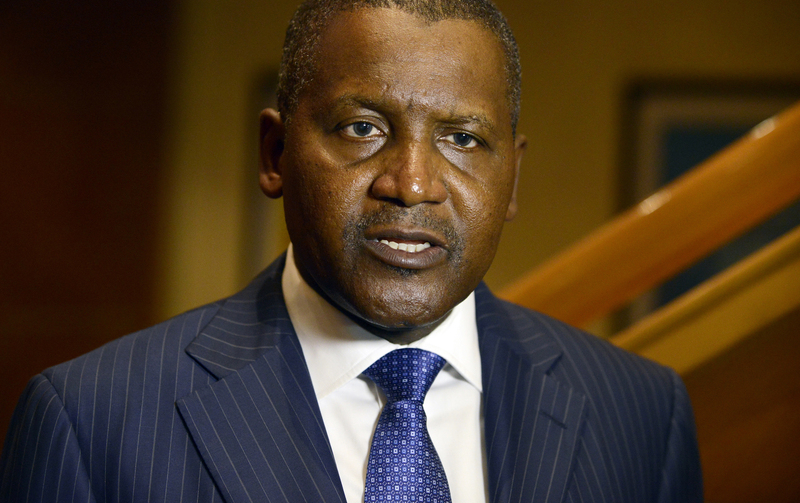 His experiences on the board of organisations like the Global Business Coalition Health (GBCH), the Aliku Dangote Foundation, Friends of Global Fund, Africa and the Private Sector Health Alliance of Nigeria have convinced him of the tremendous power of the private sector to deliver results when cash and capacity strapped ministries cannot. I had first met and interviewed Aig during the roaring decades of Nigerian banking straddling the millennium when a clutch of exceptional banker/entrepreneurs were taking the industry beyond horizons anybody had ever dreamt of. Even amidst this galaxy of talent, the tall, soft-spoken young man who had set the industry on its head by taking Access Bank from virtually nothing to becoming a major international institution in record time, had stood out in his corporate culture. The bank’s philosophy he told me then, was to “seek to do good in all aspects” not only in the way it conducted its business but also in the ecosystem “in which we operate and from which we derive our sustenance”. His focus on arts and culture, health, education and governance as part of the company’s CSR was considered ‘edgy’ by others in the industry who felt he was venturing into dangerous waters instead of sticking to the tried and tested, especially when the Bank dedicated 10% of its profits to these causes. We reflected on this when I went to meet him at his pile in the English countryside late last month for this piece. I wanted to know how the banker had become so immersed in health. But the Bank’s foray into social issues and Aig’s audacious determination to move a mountain – to raise human capability of all those around him much as he had raised himself from a modest beginning to the position he now found himself, did not go unnoticed. This set into motion the next step in his journey. He got a call from Mark Moody-Stuart, then chairman of Shell to have lunch with him. Moody-Stuart told him he was chair of an organisation called GBCHealth whose members included such global figures as TCM’s Tim Turner, Britain’s Richard Branson, George Soros and movie celebrities and he invited Aig to join the board. “I was not interested in joining organisations for the sake of it; if I agreed, then I wanted to immerse myself fully into what it was doing,” he told me. This opened up a whole world of how global corporations were deeply involved in solving major health issues. One of these was the AIDS pandemic that was sweeping the world. The UN appealed to the private sector and it responded with campaigns such as ‘Red’. Airlines put a tax on tickets to raise funds to battle the scourge. Closer to home, companies like Marathon Oil were experimenting on how to eliminate malaria in Equatorial Guinea while Standard Chartered and Chevron were working on other sustainability issues in Africa. With ABCH, Aig says, Africa will fight the war on health deficits with its own troops – with some support from outside. Now the battle can be won.